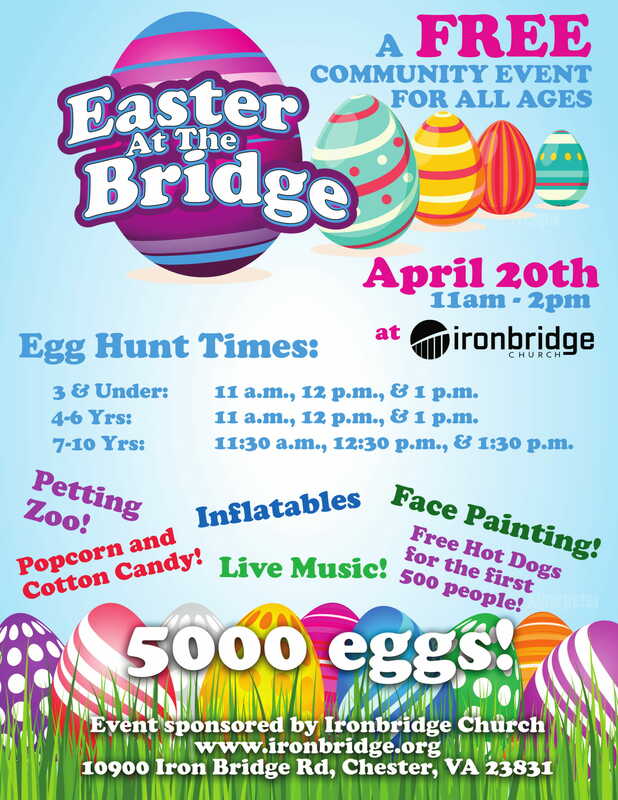 EASTER AT THE BRIDGE is returning this year! We are so excited to be able to show our love to the community through this FREE event. Three years ago we had around 1500 people attend! Bring your family out from 11am to 2pm and enjoy egg hunts, bouncy houses, obstacle course, free food, live music, and much more! This is also a great opportunity to reach out to a friend or neighbor and bring them with you.